Widely considered the preeminent Chinese woman poet, Li Qingzhao (1084-1150s) occupies a crucial place in China’s literary and cultural history. 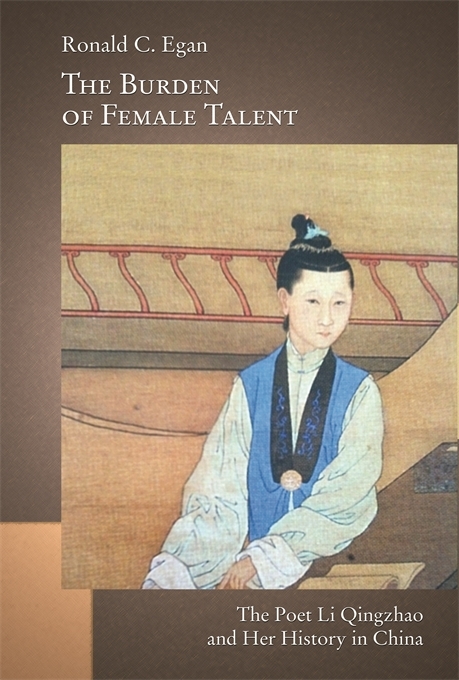 She stands out as the great exception to the rule that the first-rank poets in premodern China were male. But at what price to our understanding of her as a writer does this distinction come? 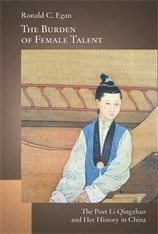 The Burden of Female Talent challenges conventional modes of thinking about Li Qingzhao as a devoted but often lonely wife and, later, a forlorn widow. By examining manipulations of her image by the critical tradition in later imperial times and into the twentieth century, Ronald C. Egan brings to light the ways in which critics sought to accommodate her to cultural norms, molding her “talent” to make it compatible with ideals of womanly conduct and identity. Contested images of Li, including a heated controversy concerning her remarriage and its implications for her “devotion” to her first husband, reveal the difficulty literary culture has had in coping with this woman of extraordinary conduct and ability. The study ends with a reappraisal of Li’s poetry, freed from the autobiographical and reductive readings that were traditionally imposed on it and which remain standard even today.